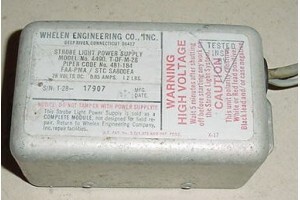 Whelen Strobe Light Power Supply. 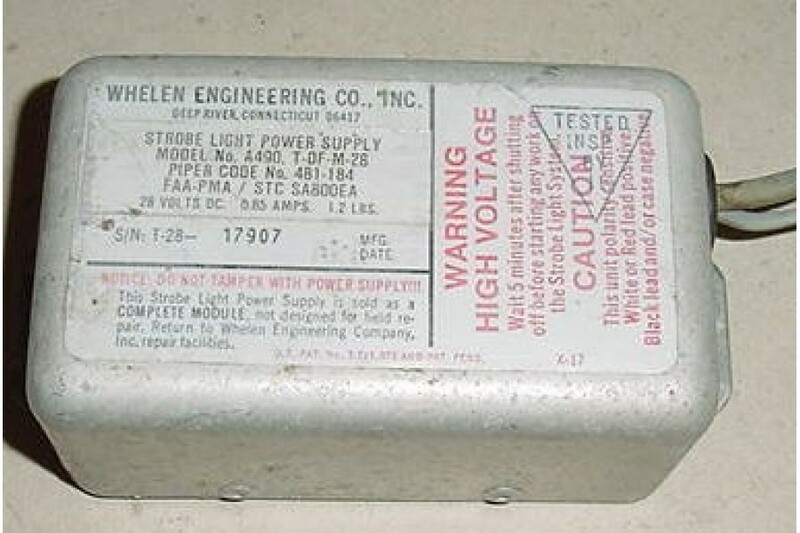 Model A490, T-DF-M-28. Piper P/N 481-184. 28V. Prior to installing unit manufacturer's instructions need to be followed to avoid overheating and damaging of the condenser. Condition, as removed.